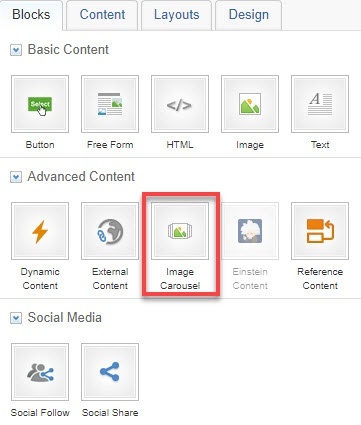 Click to edit the layout and drag and drop the Image Carousel content block into the area where you want the carousel to display. 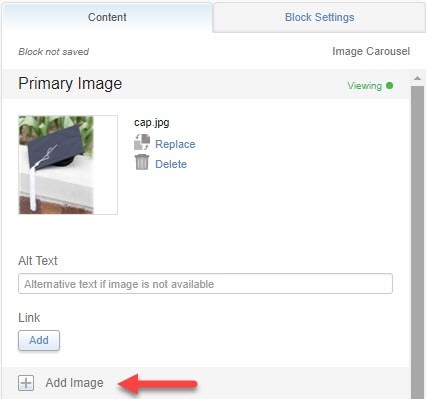 Under the Content tab, click Browse to add the primary image from the folders, or enter the URL of the image. Maximum size for images is 3 MB. Allowed file types are JPEG, PNG, SVG, GIF, and AMPscript. Add alternative text (alt text) for the image. Under "Link", click Add if you want to your image to be a link. To add more images, click Add Image and repeat steps 2-4. 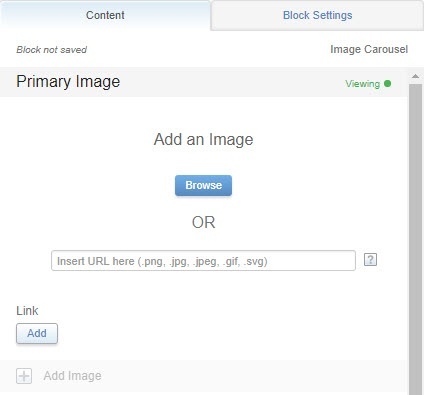 Under "Image Settings", check the box if you want Automatic Image Scrolling. Under "Dimensions", change the height and width if desired, or check the box for Scale to Fit. 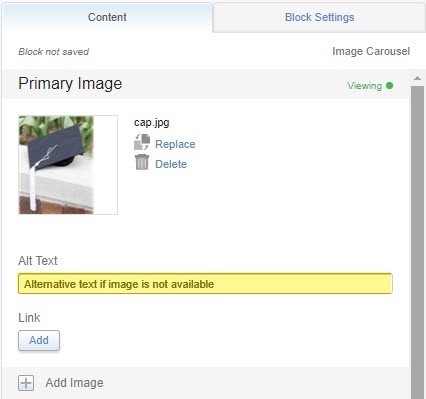 Under "Block Settings", add a border, padding, and alignment as desired.